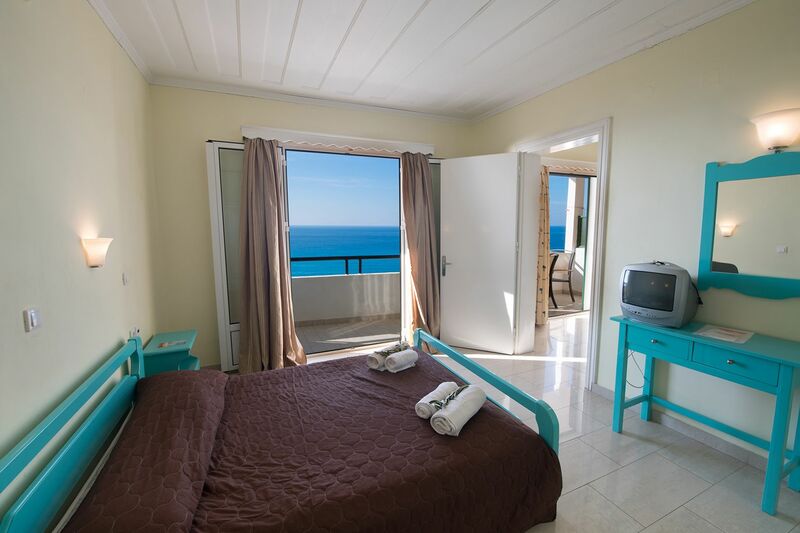 Our Appartment studios has an ocean view in the front and an entrance through the garden area. 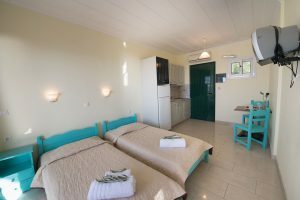 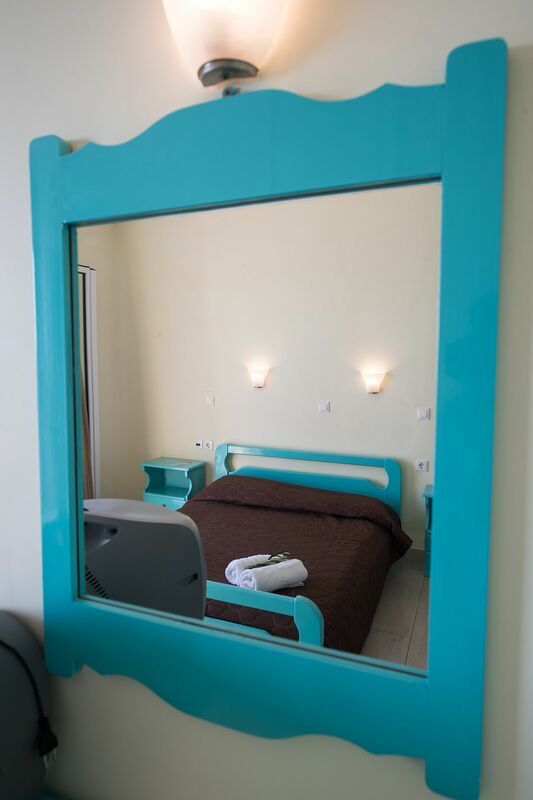 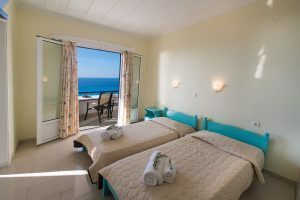 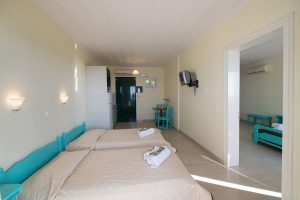 The studios have 2 different bedrooms and 1 bathroom. 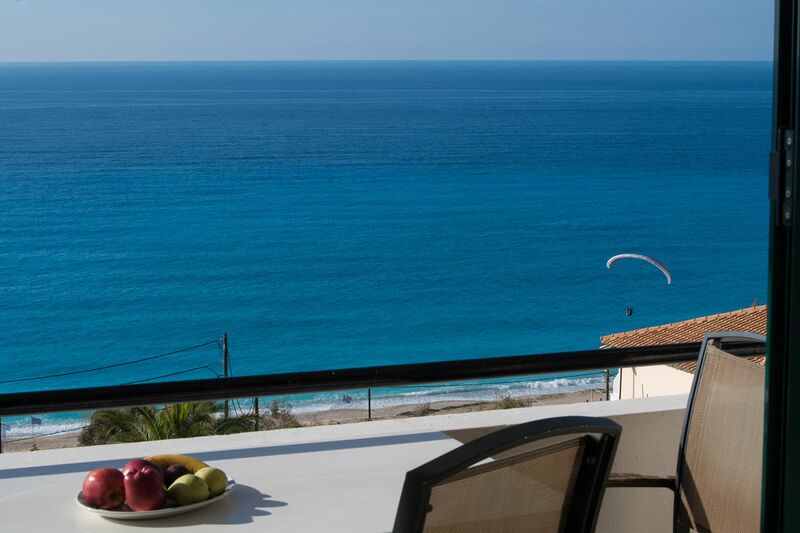 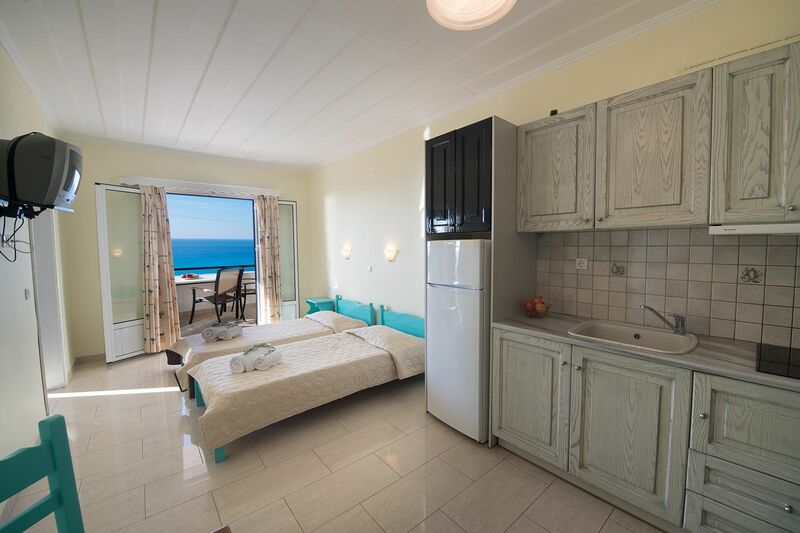 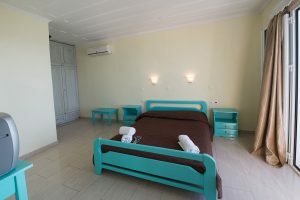 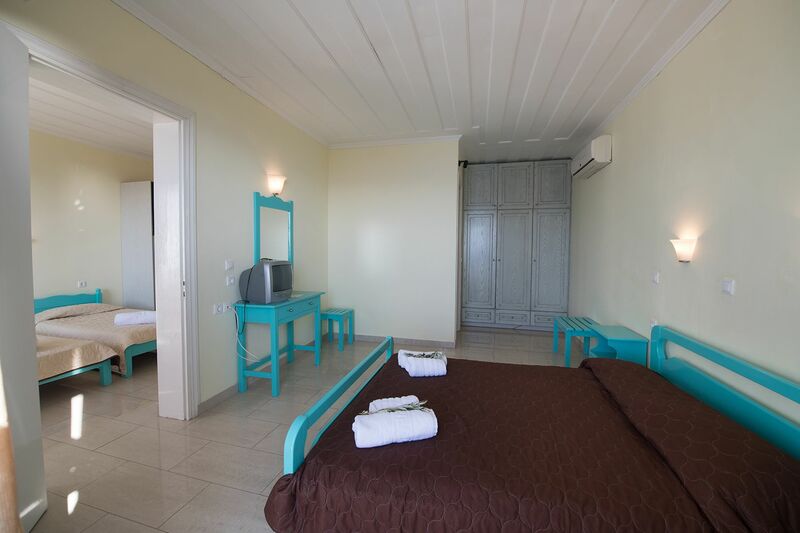 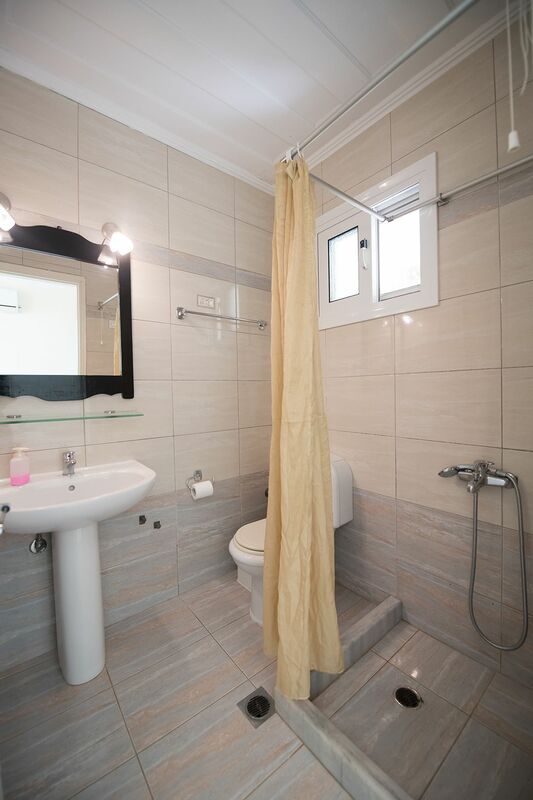 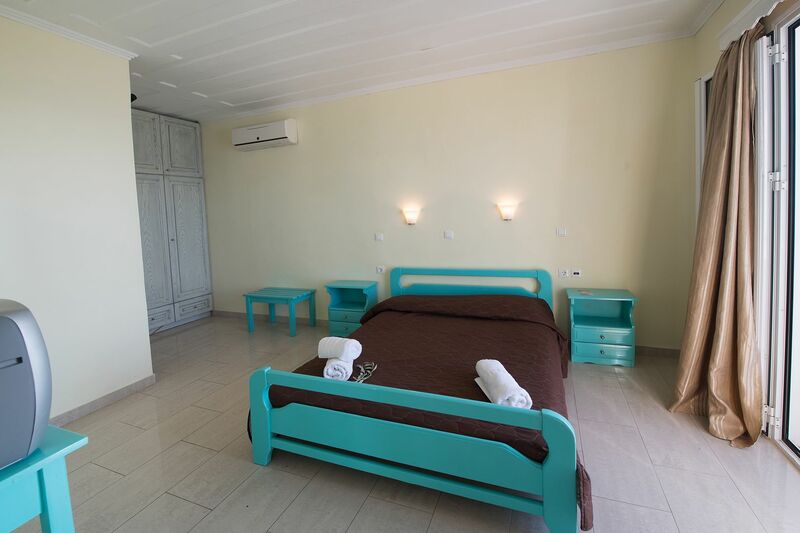 Are spacious 55 m2, for 4 to 5 people, with kitchenette, fully equipped, A/C, TV and bathroom with showers. Free wifi on all apartment studios.